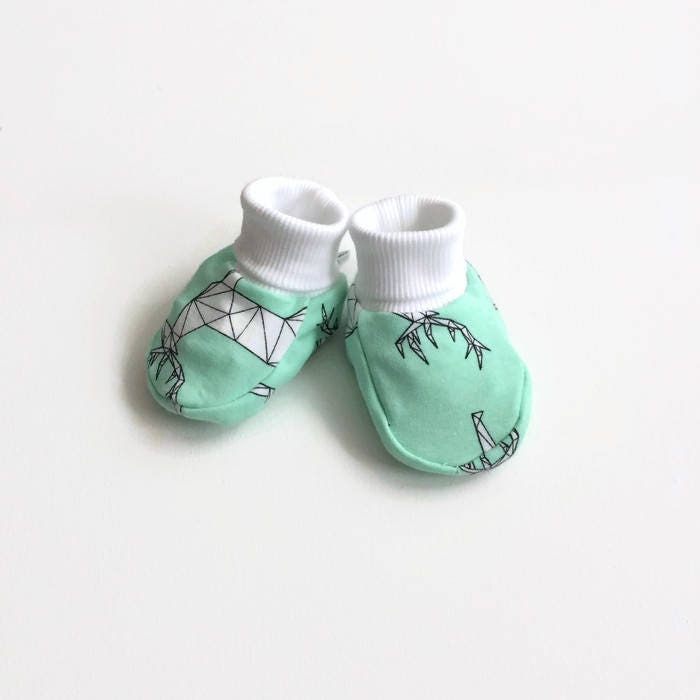 French terry baby booties with geometric stags. Sizes 0 - 18 months. Baby shoes. Slippers. Mint french terry cotton and white cuffs. The white cuffs add just enough stretch to keep the slippers on but are not too tight to make them uncomfortable. Easy on, easy off! Great for warm weather, but just as warm as socks in the colder months.The jersey cotton is very comfortable. 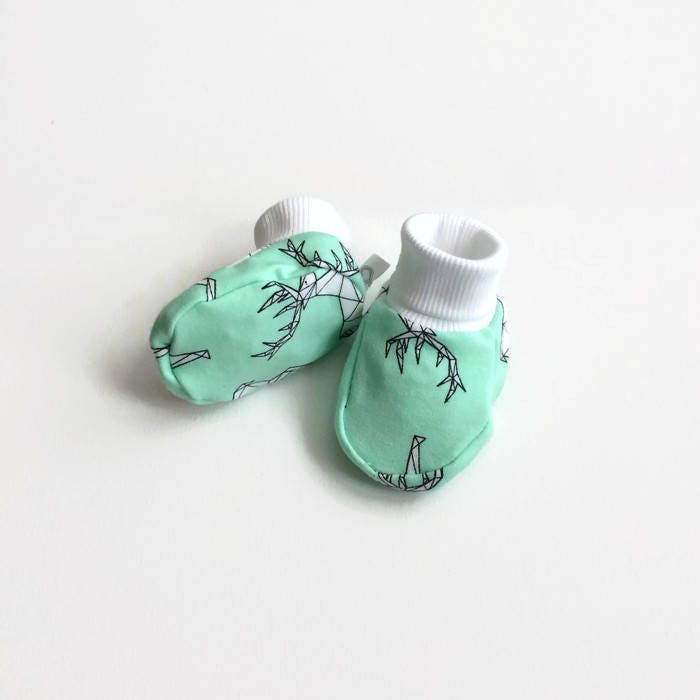 There's plenty of room for those wriggly little toes!